This video is my CTFO business testimonial. It was filmed just nine months into referring people to CTFO, way *before* reaching my 1000 referral goal. Remember, we get paid along the way! People are hungry for a free, no cost obligation, never-expiring, home business opportunity! In this tough economy, as well as with the proliferation of the Internet which makes sharing what you like easily, you never know at what point your network will “go viral” and continue to grow regardless of your personal involvement. That is why I am a firm believer that everyone should be active with a network marketing company at all times. Being an experienced network marketer, I can help you get going toward building a profit in your home based business. I am not going to blow smoke at you… Building a home business is not easy. It is simple, yet not easy by any means. It will take work. It will take commitment. 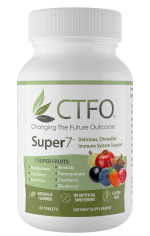 As long as you are coachable, teachable, flexible and patient, I will stand by your side every step of the way when you join CTFO on my team. Hey, why not… it’s free! I am here to guide you to reaching the goal of 1000 referrals and financial freedom too. Call me anytime day or night! Click title images below to play YouTube videos. Ever wonder why when you go on a diet to get in shape again, why cravings can be so intense? The master you are letting be in control isn’t looking out for your best interests health-wise! This was my very beginning point of getting in shape. In fact, this very simple portion-based, four meals a day, every four hours plan, is what I followed to get to 10% bodyfat (measured using electrical bioimpedance). Since then, after staying on track with small meals, I naturally gravitated toward more nutrient-dense foods for the sake of cellular efficiency, and I’ve been vegetarian now for a year. Like with referring people to your CTFO business, consistency in improving your health and fitness, can lead you to a personal best that you’ve never really imagined. I prepared for this event to show what is possible for you too, not the contest part, the fitness, health, and vitality part. It was a powerful, learning experience that ticked me up several notches on the personal wellness mastery scale.